Victims of negligence in St. Louis, Missouri, often need a reliable attorney. The Eason Law Firm has experience helping those who have been injured as a result of motor vehicle accidents, tractor-trailer collisions, motorcycle accidents, construction incidents, animal bites, medical malpractice or defective products. Our legal team understands the difficulties people go through when faced with the aftermath of a devastating accident. In addition to suffering from serious injuries, such as broken bones, brain trauma or loss of limbs, people may be left with extensive medical expenses and emotional trauma. We are dedicated to serving the needs of our clients throughout Missouri and southern Illinois. 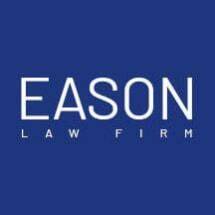 When clients arrive at The Eason Law Firm for a free initial consultation, they meet with our knowledgeable attorney. We focus our attention on the client, and listen carefully to the circumstances involved in the case. Our attorney partners with each client to create a strong case, keeping the client's best interests in mind. Founding attorney James Eason has been practicing law in Missouri and Illinois since 2003. Since then he has built a reputable, client-centered law firm focused on achieving successful outcomes for his clients. His long list of victories includes a $100,000 settlement for a car accident injury case, a $600,000 reward for underinsured motorist arbitration, as well as $1.6 million in a wrongful death suit. As the former vice president of the National Black Law Student Association, Mr. Eason has been actively involved in the legal field.